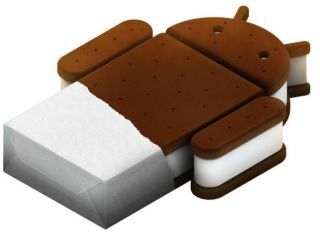 Ice Cream Sandwich - the latest calorifically-named version of the Android operating system - will be launched on 11 October, according to a brief glimpse of a placeholder page on Google's YouTube channel. Update: Google and Samsung have cancelled their joint event next week. More here. Samsung's upcoming Unpacked event is due to take place on the same day; the hot tip for that event is the unveiling of the Nexus Prime, which is set to be the flagship Ice Cream Sandwich phone - so all the pieces fit. The timing of the livestreaming of the event on Google's own YouTube channel would be enough to confirm the launch, but the "Android ICS Launch" titled placeholder page reported by TechCrunch is a dead giveaway. However, the placeholder page has now been removed and replaced with a typically Googley message that says: "This live event is no longer available. Sorry about that." It could have just been a little slip-up by Google, whose approach to launching phone operating systems is a little more lackadaisical than Apple's super secretive announcements. But the removal of the page gives us still fewer doubts that Ice Cream Sandwich will launch on 11 October, alongside Samsung's Nexus Prime smartphone. Ice Cream Sandwich is said to bridge the gap between Android's smartphone and tablet efforts, and is described by Google as its "most ambitious release to date".